With school coming back into session everywhere, we become nostalgic for a time when we'd gleefully grab our day-glo trapper keepers, lace up our Reebok Pumps, throw on a Starter jacket and race to the bus stop. Ok, we're kidding — getting to school was kind of a drag. Thankfully, companies like Yikes! and Lisa Frank decided to make the school day a little more whimsical with a grip of bright and sparkly school supplies. Though we would hardly advise taking those kinds of writing utensils with you to a college campus, they did kind of inform our taste for off-the-wall notebooks, pens, and pencils. 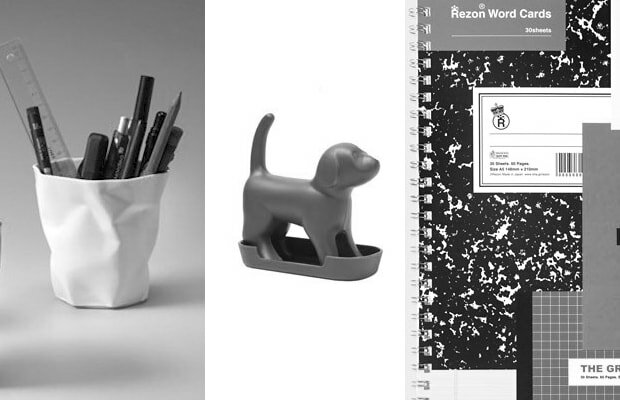 So with that, here's our gallery of 10 Imaginative School Supplies.